Flu (also known as influenza) is a highly infectious illness caused by the flu virus. It spreads rapidly through small droplets coughed or sneezed into the air by an infected person. For most people, flu is unpleasant but not serious. You will usually recover within a week. Studies have shown that flu vaccines provide effective protection against the flu, although protection may not be complete and may vary between people. Protection from the vaccine gradually decreases and flu strains change over time. Therefore, new vaccines are made each year and people at risk of flu are encouraged to be vaccinated every year. The flu vaccination is offered to people in at-risk groups. These people are at greater risk of developing serious complications if they catch flu, such as pregnant women and elderly people. Flu vaccinations are available to the over 65s and those in an at risk group. Please see link below re who is entitled to a free flu vaccination. We do not send invitation letters any more only emails and texts. Please either make sure we have an up to date mobile number or email address or please make a note in your diary every year to come and have a flu vaccination between October and December. This encompasses a wide range of conditions which require long term treatment and care. Our priority is to ensure this care is on-going and appropriate; to this end we shall endeavour to review patients’ medication on an annual basis. When and where appropriate we request patients, in writing, to make an appointment with the health care assistant, a nurse, or a doctor - it is also important that patients read and take note of any comment we might attach to a prescription. Failure to respond to a request to contact the surgery may result in an increase in the frequency of prescriptions and the resulting prescription charge or prescription requests being refused. Please note that we do run certain Specialist Clinics. Our nurses provide wound care, contraceptive services, minor illness, smoking cessation advice, well person checks, new patient checks, blood pressure monitoring and travel advice; they also perform vaccinations, ear syringing and smear tests. Please note that there is a charge for some travel vaccinations. Our Receptionists coordinate appointments for blood tests which can be done by our own Health Care Assistant Teresa or can be done at The Harpenden Memorial Hospital. Patients will need a form signed by a doctor which they will take with them to the booked appointment. If you are asked to have a blood test at the Arndale House Blood Test Facility at the Luton and Dunstable Hospital then please click on this link to get further information. Midwife clinics are held regularly at the surgery. The doctors also provide ante-natal and postnatal care. For information on the roles of GPs, community midwives, health visitors, hospital clinics and provision of ante-natal and post-natal care please ask for the handout available at the practice reception. This service is provided by specially trained nurses. This is provided by doctors and nurses. Nurses are able to provide follow up monitoring for all methods initiated by the doctor. Important Pre - Coil Fitting Information. Please read before your appointment. Baby clinics, coordinated by our health visitors, are held weekly at the surgery by our nurse team with support from a doctor. All routine childhood immunisations are performed at the surgery by a nurse following an automatic invitation from the Local Health Authority. This service is provided by the doctors following an initial consultation to determine the need for surgery. The Stewarts is a residential assessment unit for elderly patients with psychiatric problems. As a patient you will be sent a form to have a blood and urine test 2 weeks prior to attending the clinic. When you attend the clinic you will be seen by a nurse and a doctor. As a patient you will be sent a form to have a fasting blood test 2 weeks prior to attending the clinic. When you attend the clinic you will be seen by a nurse and a doctor. Patients will be asked to bring in their inhalers and to perform breathing tests. The nurse will advise on further management. The Elms supports the Herts Stop Smoking Service. Quit today and ring 0800 389 3998 or txt SMOKEFREE to 80818 alternatively for support ring the surgery and make an appointment with one of our clinicians. Are usually done by our health care assistant. 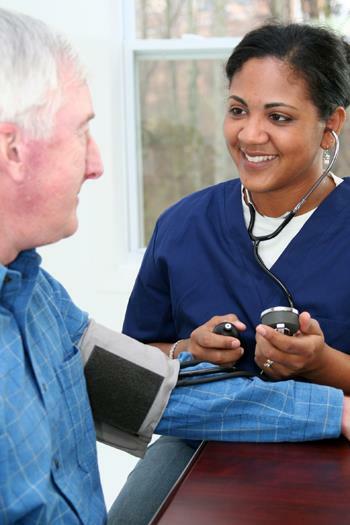 This service is available to those not known to have high blood pressure, as well as those who do.